CALL US NOW (480) 968-6303GET IN TOUCH NOW! The IBJJF European Championships took place in Lisbon, Portugal from January 16-21. This tournament is always among the biggest of the year and attracts the top competitors from all over the world. GD Jiu Jitsu academy was well represented with two of our coaches and two of our students earning medals in Lisbon. In the adult black belt featherweight division, coach Marcio Andre had three matches en route to his European gold medal. In his quarter and semifinal matches, Marcio went up against Jonathan Thomas and Isaac Doederlein, both from Alliance. Jonathan and Isaac both showed impressive guard skills as they attempted to sweep Marcio. However, Marcio showed why he is considered one of the top guard passers in the game, using his incredible base and balance to stifle their attacks and ultimately win both matches by points. In the final, Marcio faced yet another Alliance black belt in Gianni Grippo. Marcio changed his game plan and earned two sweeps while maintaining constant pressure when on top. The win gave Marcio his 4th European title as a black belt. The adult black belt medium heavyweight division was also stacked top to bottom with some of the best competitors in the world. Renato Cardoso, Patrick Gaudio and Rudson Matheus were among those vying for the title. GD Jiu Jitsu coach and competitor Horlando Monteiro went into this stacked bracket with supreme confidence and it showed in every match. In his quarterfinal match Horlando took on the dangerous Charles Negromonte from Roger Gracie Academy. Horlando used his open guard to stifle Negromonte’s guard pass attempts and earned a sweep from 50/50 to secure the win. An armbar against Chinese black belt Viking Wong sent Horlando to the finals against Renato Cardoso of Alliance. Horlando attacked Cardoso from his open guard relentlessly but Cardoso kept a strong posture to avoid the submission. A break in the action with less than 2 minutes left in the match saw Horlando standing in front of Cardoso’s open guard. A quick pass led to a scramble where Horlando secured the back and mount positions, ultimately earning him his first European title as a black belt. GD Jiu Jitsu brown belt Octavio Flores competed in the adult brown belt rooster weight division. Octavio secured a foot lock in the quarterfinal and a win by points in the semi-final to advance to the finals of his bracket, where he lost a hard-fought match by points and left with a well-deserved silver medal. Yasmine Bann competed and placed third in the adult female purple belt rooster weight division. She won her first match 9-0 and lost her second by points. Blue belt Blanca Macedo fought in the adult female lightweight division, and after a hard fought 2-2 match, ended up losing a referee’s decision. Congratulations to all the GD Jiu Jitsu Academy coaches and competitors who made sacrifices to travel and train hard for this amazing tournament! Get Started Today with our Free Trial! 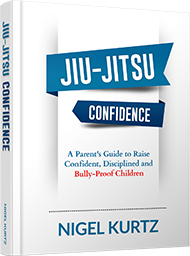 Download Our "JIU JITSU CONFIDENCE" eBook!